Mediator Realtors believe that one size does not fit all. We offer property consultancy by thoroughly understanding the requirement of our customers and providing relevant property options. Dealing in all type of properties. AT GARIA BORAL,CLOSE TO BORAL HIGH SCHOOL,NEW 2BHK FLAT SALE. AT GARIA,NEAR TALTALA RICKSHAW STAND,2BHK FLAT RESALE. AT TOLLYGUNGE,CLOSE TO I.T.I COLLEGE & NETAJI METRO 2STORIED OLD HOUSE RESALE. AT BRAHMAPUR,GARIA,NEAR H.D.F.C BANK NEW 2BHK FLAT SALE. AT HARINAVI CLOSE TO BARUIPUR RLY.STATION NEW 1BHK FLAT SALE. 5MIN.FROM METRO & BYPASS,GARIA STN.ROAD.3BHK FLAT FOR SALE. 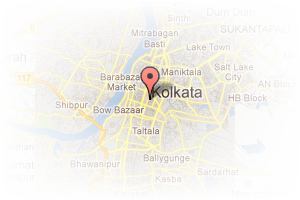 Address: Garia Station Road, Garia Station Road, Kolkata, West Bengal, India. 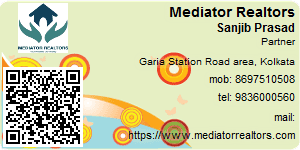 This Broker Profile page for "Mediator Realtors" has been created by PropertyWala.com. "Mediator Realtors" is not endorsed by or affiliated with PropertyWala.com. For questions regarding Broker Profiles on PropertyWala.com please contact us.